With the haze of summer TV reruns and reality shows like “American Idol,” “America’s Got Talent” and “So You Think You Can Dance?” all becoming one in the same, it’s high time for some live entertainment. Luckily, even as the calendar warns of the impending change in seasons, area dance companies are ready for a fall filled with dance. Leading the way is Providence’s resident professional dance company, Festival Ballet Providence. Their season will be book-ended by two productions featuring some of ballet’s most iconic works. Things get underway on October 23 with Ballet Russes Reinvented, a mixed repertoire consisting of several ballets by the revolutionary ballet troupe, The Ballet Russes. This Paris-based company is regarded by many as the most influential ballet company of the 20th century. The critically acclaimed “Up Close On Hope” returns with two programs, one in November and another in March. “With dance so close you can touch it,” these performances give audiences a unique back-stage look at dance. The children’s dance series, chatterBOXtheatre, also returns with the world premier of children’s favorite Hansel and Gretel in late January. Both performances take place in the company’s intimate Black BoxTheatre located in their Hope Street studio. 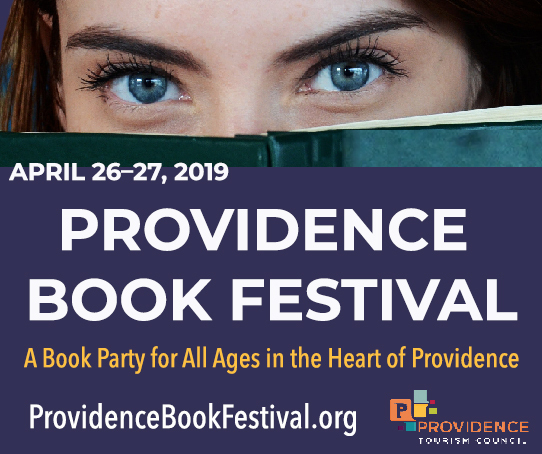 For more information about FBP and its upcoming season, visit festivalballetprovidence.org. Over on Aquidneck Island, Island Moving Company, one of the few companies that perform year-round with summer being perhaps the busiest part of their season, will once again present The Newport Nutcracker at Rosecliff from November 27 through December 4. This one-of-a-kind performance is a must-see for all ballet aficionados or anybody simply looking to get into the Christmas spirit. Audience members are ushered into the mansion’s foyer where the ballet begins on a grand marble staircase. The rest of the action occurs in various rooms throughout Rosecliff, culminating in the grand pas de deux in the spacious grand ballroom. This production also features walk-on roles from local celebrities. These shows sell out quickly, so get tickets early! For more information about IMC and its upcoming season, visit islandmovingco.org. In the northern part of the state, tucked away in their wooded enclave in Lincoln, The State Ballet of Rhode Island prepares for their remarkable 56th season. As RI’s oldest ballet company, SBRI continues with its commitment of giving back to the community that has supported them for so long. On November 20 and 21, they will present their annual holiday production, Coppelia. Set to Delibes’ magical score, this charming ballet follows the plight of young lovers Franz and Swanhilda. With life-size dolls and an eccentric doll-maker, this festive and comedic production is a show for all ages. Swanhilda’s fiery temperament coupled with Franz’s feeble attempts to woo a doll make for great fun, complete with a happily-ever-after ending. And, once again, SBRI will be the featured performers at the Gloria Gemma Breast Cancer Research Foundation’s 10th Annual Flames of Hope and WaterFire Event. They will also be performing with pianist, Rhode Island College professor of music and artist-in-residence Judith Stillman on the RIC campus in December. Their season concludes with the ballet classic Giselle, the ultimate story of love, betrayal and forgiveness. This haunting ballet will surely leave a lasting impression highlighted by artistic director Herci Marsden’s mesmerizing choreography. For more information about SBRI and its upcoming season, visit stateballet.com. Fusionworks Dance Company’s Fall Concert Series on November 21 at Sapinsley Hall on RIC campus. For more information, visit fusionworksdance.org. Heritage Ballet’s The Nutcracker runs December 18 through 20 at the Stadium Theatre in Woonsocket. For more information, visit heritageballet.com. Providence Ballet Theatre presents artistic director Eva Marie Pacheco’s original and heartwarming Twas the Night Before Christmas from December 17 through 18. For more information, visit providenceballet.org. Rhode Island’s Ballet Theatre presents their annual holiday show on December 20. For more information, visit riballet.org.